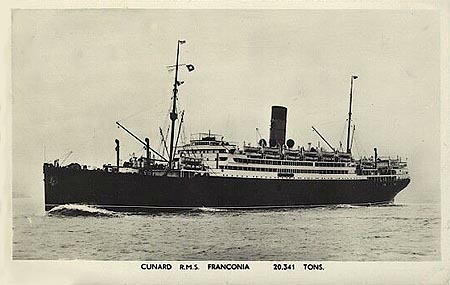 Sailing from Port Said and Haifa the Franconia (Cunard White Line Star official no.147216) arrived in Liverpool on the 15th March 1949 with 104 Polish DP from Lebanon and Palestine on board. 118 STOKARSKA Maria 58 Woodlands Park Camp Great Missenden Bucks. The list is difficult to read.